Attic insulation has become more crucial over recent years with property owners having to deal with extreme weather conditions during winter and the ever rising price for home heating; it is no longer a luxury but a must to properly insulate your loft space so you can save money on heating bills and prevent your expensive heat from escaping through the roof. 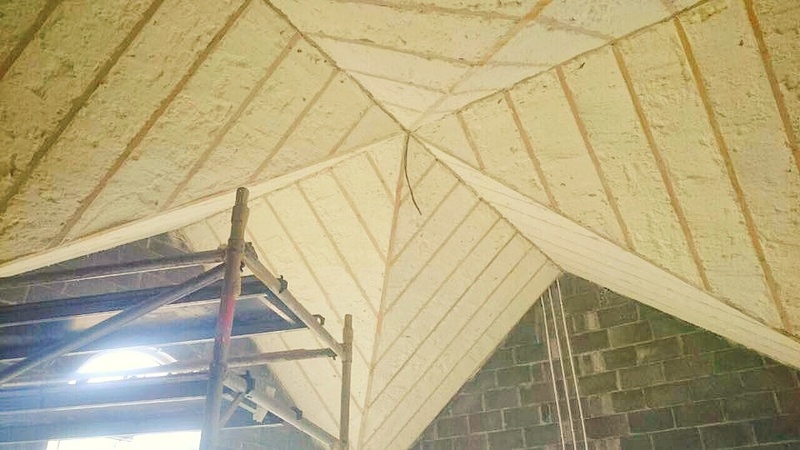 A poorly insulated attic can account for up to 40% heat loss from the total fabric of the building. Considering the high cost of fuel it makes massive sense to properly and effectively insulate your attic. After all if you had a hole in your petrol tank of your car and 40% of your fuel was leaking every day , you would fast get it fixed !!!!!!!!! Think about It. Proper attic insulation will save you thousands over the lifetime of the building and the faster you act the more you will save. 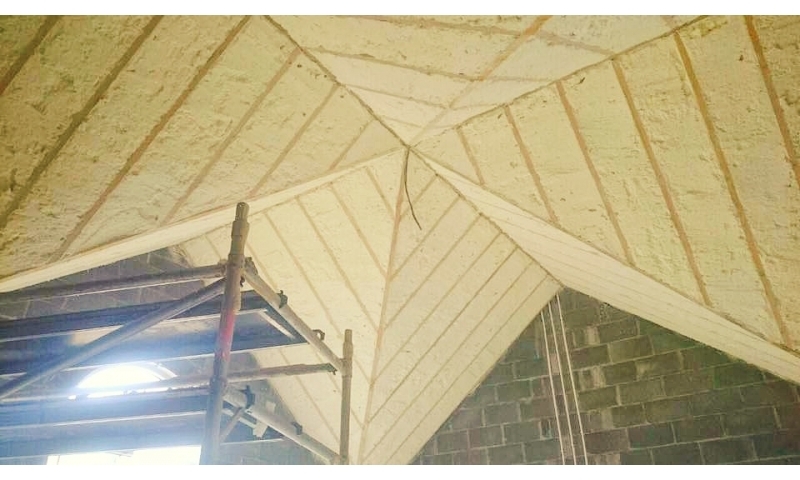 Your attic is a valuable space: Do you want to put in 300 / 400 mm of fibreglass and render all that space useless for storage? Remember when you compress fibreglass insulation with stored items you compromise the effectiveness of the insulation. Therefore it makes sense to save all that storage space and insulate at the highest point between the rafters. A vent card is fitted to provide a 50mm airflow between the sprayfoam layer and the felt. 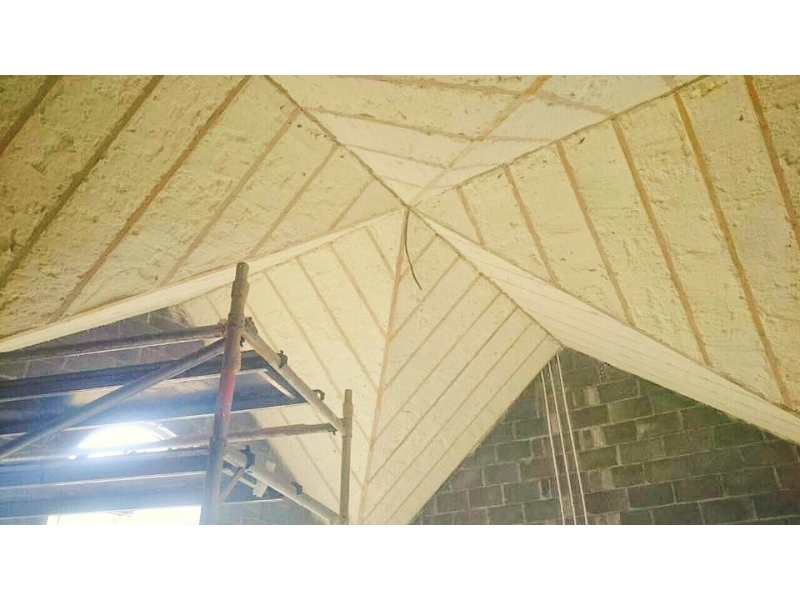 The rafters are than filled and the PurAcell sprayfoam applied to the required thickness. Because the system is almost weightless any depth can be easily applied. Advantages of High level insulation. Your roof is fully airtight and sealed with custom applied insulation blanket directly under the roof.